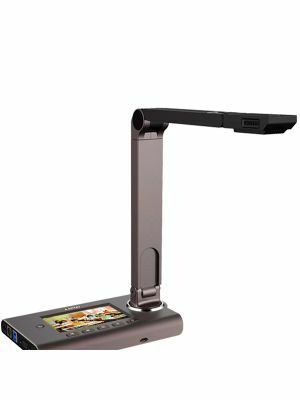 Promethean ActiView 324 Document Camera is made from state of the art technology and remains the best in its category across the globe. It's guaranteed to ensure user satisfaction through providing pictures with stunning quality due to its HD camera and a resolution output of 1080p. Picture detailed are ensured as the camera comes boosted with a mechanical and digital zoom of 9x and 12x respectively. Furthermore, playback is ensured to be smooth and without any hindrance due to the device being backed with a frame rate of 30fps. 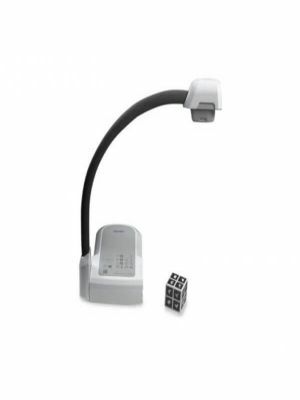 Promethean ActiView 324 Document Camera comes with an adjustable LED side lamp to give more control to the user over lightning which has a life of over 20,000 hours. This is furthermore; backed with a flexible goose neck that allows the user to change to different angles allowing the user more opportunities for the most optimum shot. 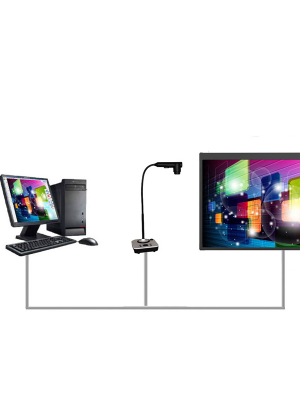 Promethean ActiView 324 Document Camera has a compact design which makes the device portable and aesthetic to look at. The device also has a built-in 100-240 VAC plus an auto switching power supply. It supports more versatile input modes such as photo, text, 35 mm slide, grayscale, and microscope and makes it incredibly easy to capture videos. Finally, the device supports full-screen image rotation from 0 to 90, 180, 270 degrees. Promethean 324 has arrived in the market with a multitude of options facilitating the users specially teachers across the world to facilitate and enhance the overall teaching experience. It is a cost effective, time saving and user friendly interface. 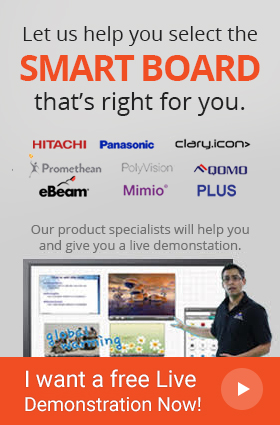 Promethean ActiView 324 is an extremely flexible tool which allows the teachers or students to display pictures, lectures and a plethora of different documents. Users can point, annotate, zoom in or zoom out objects. Overall a natural and beneficial experience is on offer with ActiView 324. Not only users can take high definition pictures, ActiView 324 allows videos to be played back smoothly. Videos can be recorded from an array of different angles because of its goose neck which allows the users to move it across an angle of 360 degree. Promethean ActiView 324 allows users to perform better analysis of objects and pictures in question because of the provision of rotation across 0 to 90, 180, 270 degrees. Q. Does Promethean ActiView 324 Document Camera have a playback facility? A. Yes, a smooth playback is enabled with at the rate of 30fps. Q. 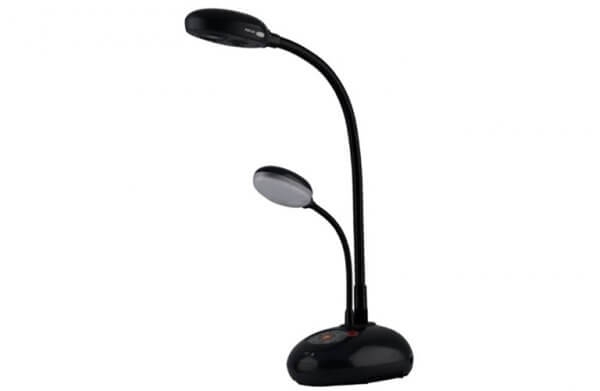 Can Promethean ActiView 324 Document Camera be used in dim light? A. Yes, the system comes with its own LED which is enough for displaying a clear image. Q. 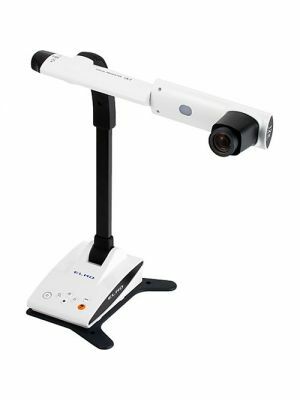 Is Promethean ActiView 324 Document Camera adjustable with respect to height and angles? A. Yes, its goose neck allows for complete rotation and enables capturing the view from different heights and angles. Q. Does Promethean ActiView 324 Document Camera have any warranty? A. Yes, it comes with a warranty of three years.